One blog I read almost every day is Dean Wesley Smith. For those who don’t know, he has been a professional fiction writer since the mid-80s. Over the past two years, he’s blogged about his day every day without fail. Would I do this? My first thought was “how boring that would be!” There’s a reason I write fiction, people. 😀 Most of my days are pretty much the same, and would not be of interest to anyone reading. Then I realized most of Smith’s days are also the same; he just does different things than I. For instance, he goes to the bank and the post office every day, and runs errands for his businesses (he owns a publishing company and a memorabilia shop, among other things). Then he goes to meetings at the publishing company, works on stuff for his workshops, goes home, eats dinner, does the dishes, watches TV, takes a nap… and finally gets around to writing about 12 hours or so after he got up that day. And he writes a LOT in that time. So what do I do? It turns out, my days are not so different. I go to my day job (Smith considers the work he does for his businesses his day job). After I get home, I play games on my tablet for a little while as DH watches TV. Then dinner, cleanup (if DH or DD cooks), the feed the turtle and gerbils (Isis eats when we do). After that, I get to the writing, which is 12-13 hours after I got up. I don’t have the kind of productivity Smith has, as I’m still juggling marketing and promo in with that, while he does those things as part of his publishing company work. But when I am writing new words, I can usually get 1,000 in an hour, which is about what he does. (He has way more energy than me, so puts more time in.) I’m not comparing, that’s just what I can do. Usually, no writing happens on Monday. That’s when I pay bills and do the bookkeeping for my husband’s businesses. The first and last of the months are usually the busiest–that’s when we collect rent, and when the bank statements need to be reconciled. Sometimes I am able to squeeze writing in mid-month. 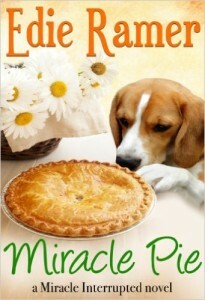 What I read this week: Miracle Pie by Edie Ramer. This is a contemporary romance, something that’s normally not my thing. But I loooooove Edie Ramer’s books, and while I usually prefer some suspense or speculative elements in my contemporary fiction, her Miracle books have just enough magic in them to keep my interest (I would consider them magical realism). Also, this book has a dog in it. 🙂 Highly recommended! ROW80 Update: My goal for the past two weeks was to get the edits done from my beta readers, who basically serve as first-round editors (my editor says my manuscripts are among the cleanest she sees; this is why.) I got them done, so that’s a win! For this week, I need to review the outline for the new, related novella to see if there’s anything I need for continuity’s sake, then send it off to my editor. Newsletter subscribers will get a sneak peek later this week (or maybe next, depending on the family stuff coming up). So if you want in on that, sign up here, and get a free copy of my short story “Time’s Holiday” as a bonus! I won’t spam you and you can unsubscribe anytime if it’s not your thing. What about you–what’s your typical week like? Do you have trouble sometimes fitting in the things you do because you want to? 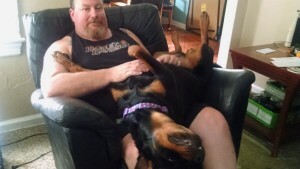 Have you ever seen a dog lie on someone’s lap like Isis? 😀 Whether you’re a writer or not, how are you doing on whatever goals you might have? Please share in the comments–I’d love to hear from you! One of my writing friends wrote a flash fiction piece on Friday about a Christmas that wasn’t so merry–and she conveyed amazingly well in 100 words the devastation losing a loved one during the holiday season can wreak on a family. But can you imagine how much worse it would be, if that loved one was murdered? At that time, there was a loose-knit street gang who called themselves The Downtown Posse – teens and twenty-somethings who mostly hung out around Courthouse Square, bumming money off of people to buy booze and drugs. A couple of days before Christmas, the Posse decided to up their game, when one it its members suggested they rob a man she knew, who she enticed with an offer of sexual favors. Robbery turned into murder, and the four Posse members involved got away with the man’s car, a television set, and his microwave. They’d gotten away scot-free, so why not try it again? The next day, they shot a young woman on the phone in a phone booth, just for the hell of it. She didn’t have any cash to speak of on her. They took her designer gym shoes and her coat. They then decided to go after one of the girls’ ex-boyfriend – he had money and a car. He managed to get away with a gunshot wound in his leg. All this time, the cops were busy investigating and putting together clues. The Posse weren’t the smart criminals we read about in suspense novels, so it was a matter of time before they slipped up. The Dayton Police only hoped it was before more people died. Unfortunately, that wasn’t how it worked out. The Posse’s next victim was another ex-boyfriend, but at the scene of that murder – on the street in front of his home, when he got suspicious – the cops found leads and witnesses that began to point them in the right direction. The Posse hid out at the home of one of its members. This boy’s mom and her boyfriend were terrified of the Posse (and rightly so), and holed up upstairs the whole day and a half the Posse occupied their house. This is the point at which, in my short story “Time’s Holiday,” young Taylor Gressman shows up and finds herself in a heap of trouble. The Posse went on to kill a convenience store clerk – the single mom of an 11-year old girl. After that, they cruised around some more in their stolen cars, now numbering three, with some other friends. One young man convinced them to take him home. The other two weren’t so lucky, and were killed because the four ringleaders were getting nervous and feared they might snitch. As it turned out, the boy they’d dropped off earlier was the one who snitched, giving the police the last bit of evidence they needed. They trapped three Posse members in one of the stolen cars, and found the other at the house where they’d been staying – and where the terrified mom identified the last culprit. All four of the Posse members who were arrested that day were convicted by the court. 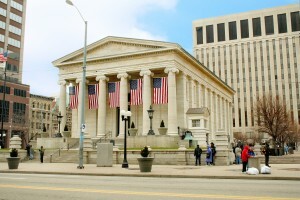 One man, Marvallous Keene, was executed by the State of Ohio in July, 2009. The other three perpetrators were only 16 and 17 at the time of the murders, so all three are serving multiple sentences, with no chance for parole until 2098 at the earliest. While there have been plenty of other murders in the area, including some where more people were killed at once, the police consider this the worst, as it was clearly premeditated, and one murder was committed, then another plan was executed, and another. And the worst thing was, not only did it happen over Christmas, it was done for kicks. Here is a reprint of a Dayton Daily News article that tells the whole story, which I used extensively in my research. 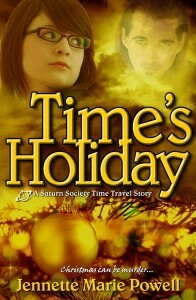 My story, “Time’s Holiday,” is available as a standalone ebook for FREE! Although fictitious, find out how seventeen-year-old Taylor sneaks away on Christmas Eve, hoping to find the angel who saved her life a few weeks earlier. Instead, she takes an unexpected trip back in time, and finds herself in the midst of a murderous street gang. Now it’s up to Taylor to ensure that she and a newfound friend don’t become the gang’s next victims, and in the process, learn that giving is the best gift of all. If you’ve thought about giving the Saturn Society series a try, this is a great way to see if it’s something you might like. Grab a copy of the ebook from Amazon, Barnes & Noble, Smashwords, Kobo Books, Sony or iTunes. If you’d like something more, “Time’s Holiday” is also included in the Ohio Valley Romance Writers of America’s anthology, Home for the Holidays. The anthology is available in both print and ebook at Amazon.com; and in ebook from Smashwords, Kobo Books, Sony, Barnes & Noble and should be coming soon to iTunes. All proceeds go directly to Ohio Valley Romance Writers of America, and help bring in educational programs for the whole chapter. What about you – do you have any creepy true crime stories in your home from around the holidays? Can you imagine what the victims’ families must go through every year? And not to end on such a downer, do you like holiday stories? If you’re starting to think about the holidays, and need some little gifts for the readers in your life, look no further! Home for the Holidays has a little something for everyone who’s a little romantic. 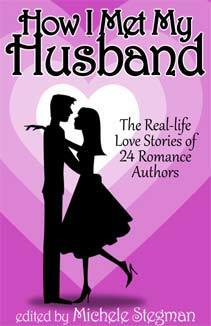 This anthology of holiday stories is the work of six authors who are members of the Ohio Valley Chapter of Romance Writers of America – five of my In Real Life writer friends, and me! The stories in the anthology run from sweet to poignant, darkness-tinged to comedic, but in each one, people find the hope of love, and joy in the holidays. Stories feature married couples and those newly-met, some whose lessons lie in the past, and even vampires… all of whom find happiness and peace when they come Home for the Holidays. In “The Holly and the Ivey” by Sandy Pennington, Jon thought bells would be ringing a merry tune when he did a surprise Christmas visit but it turned out to be a Ho! Ho! Oh, no! instead. Aileen is frustrated when she has difficulties communicating with her mentally challenged brother. But Dr. Lew Bard shows her it’s really just a matter of “Speaking the Language,” by Ann Gregory. There’s magic in threes in Becke Martin’s “Triple Trouble for Christmas Eve.” With her dying breath, the triplets’ mother predicted they’d all find true love by midnight on Christmas Eve. Too bad Mom didn’t specify which Christmas Eve. In “Merry and Bright” by Ann Gregory, Alex and D’Vee discover that a cup of spicy tea and a pair of fine brown eyes can both be inspiring. The Christmas season is the perfect time to kindle friendships and create possibilities. Aiden Flynn is no Superman, but he does have a secret identity. And he just might be able to save Christmas for one young boy and his hardworking mom in “Silver and Gold,” by Becke Martin. Stacy McKitrick’s vampire Katarina thought she was drawn to the mortal who refused her gift of immortality 45 years ago, but on her “Last Christmas Visit,” she discovers the truth. Christmas can be murder when a trip back in time pits Taylor Gressman against a murderous street gang, but through a new friendship, she learns the greatest gift is in the giving in “Time’s Holiday” by Jennette Marie Powell. In “No More Resolutions” by Dakota James, Stella despises holidays. Now she has to find a husband for bosszilla, deal with a stripper pole in her house and work with Simon, the guy she loves to hate. Or does she? The anthology is available in both print and ebook at Amazon.com; and in ebook from Smashwords, Kobo Books, and Sony. Coming soon to Barnes & Noble and iTunes. All proceeds go directly to Ohio Valley Romance Writers of America, and help bring in educational programs for the whole chapter. 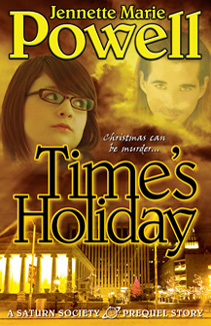 My story, “Time’s Holiday,” is also available as a standalone ebook for FREE! If you’ve thought about giving the Saturn Society series a try, this is a great way to see if it’s something you might like. Grab a copy of the ebook from Amazon, Barnes & Noble, Smashwords, Kobo Books, Sony or iTunes. What about you? Do you like holiday stories? Know of any good new releases this week? Or what the heck, what are your reading now? Quick ROW80 Update: This month, my main focus is my NaNoWriMo novel. My weekly goal is to write 1,500 words four weeknights, and 3,000 words each on Saturday and Sunday. Sunday through Tuesday, I’ve written 6,000 words, bringing my total to 12,346 – right on track. So far so good! What is WANA? It stands for We Are Not Alone, a guide to blogging, social media and networking for authors by Kristen Lamb. It’s writers helping writers, whether or not we’ve taken the course, and proving that we really are not alone! I’m not one to blog about my books very often, but some of my recent email tells me it’s time for an update. (I figure this fits into My Town because so far, all of the Saturn Society books take place in my home town, Dayton.) Readers want to know, what’s going on with the Saturn Society? Namely, when’s the next book coming? There are common reader expectations here. Currently, there are two Saturn Society novels. Books typically are either standalone, or come in threes (or more). Duologies are rare. But the fact is, there isn’t a third Saturn Society novel in the pipeline – at least not yet. You see, traditional publishing was the only viable path to readers until a couple years ago. Writers were typically advised to only write one book in a series, one that could stand alone, for a couple of reasons. One, the book might never sell, so why put a lot of time and effort into a second that would definitely not sell? Two, even if that first book sold, there was never a guarantee that a second would. Sometimes debut authors would get a two- or three-book deal, but they often didn’t. And if that first book didn’t sell well, the second would not be purchased. So back to the Saturn Society. 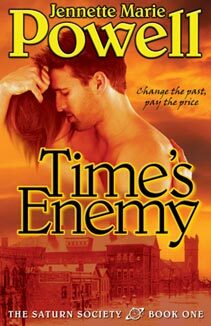 Time’s Enemy was the third book I’d written, but it was the one where I was really figuring out my process. Among other things, I learned that I could not write a book without outlining or pre-planning, when I ended up with 600 pages of rambling with no ending in sight (but I had a lot of fun!). However, I still loved the story, and there was enough usable material in there for a book. Or two, I realized, when I tried to write a synopsis. So I reworked it enough to come up with a real antagonist (also missing from those early drafts) and a logical ending for the first book. 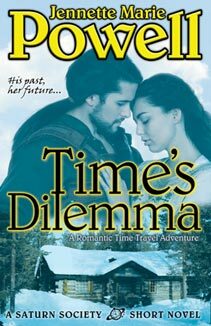 Although Time’s Enemy was still too long (150,000 words – yikes! 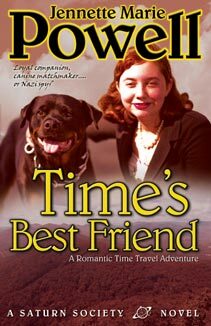 ), I dutifully pitched it to agents and editors while I worked on Time’s Fugitive. I knew the odds of selling them were dismal, but I loved the story too much not to finish it. I never bothered to give Time’s Fugitive a complete revision until I decided to publish last year. However, I wrote it with the possibility of an out for my antagonists, on the off-chance that readers would want a third book. So there’s my long-winded explanation of why there’s no third novel in the Saturn Society series. Because it does appear that readers want one! I have a couple other projects on deck right now that are closer to being ready to write, so those are going to happen first while ideas for a third Saturn Society book percolate. Who knows? There could be more after that – I’ve set up some possibilities for books and series for other characters, too. In the meantime, I’m offering a little something to hold my readers over. “Time’s Holiday” is a short story that gives a fun glimpse into the background of a couple of minor characters. 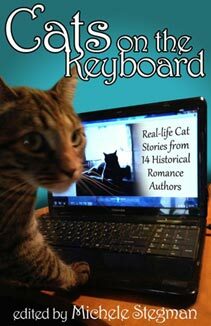 Hopefully, this will entertain existing readers while pulling in new ones. In “Time’s Holiday,” seventeen-year-old Taylor Gressman sneaks away on Christmas Eve, hoping to find the angel who saved her life a few weeks earlier. Instead, she takes an unexpected trip back in time, and finds herself in the midst of a murderous street gang. Now it’s up to Taylor to ensure that she and a newfound friend don’t become the gang’s next victims, and in the process, learn that giving is the best gift of all. There is also a brief excerpt here. This is not your typical sweetness-and-light Christmas story. It includes a bit of true crime based on the “Christmas Killings” that happened in Dayton in 1992. “Time’s Holiday” is currently available for free on Smashwords, and will eventually be available on other major retail sites. It will also be a part of the Home for the Holidays anthology that my RWA chapter will soon release. 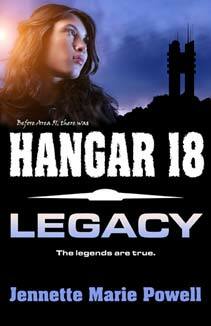 Revise Hangar 18. This one was on deck for the last round, but the changes needed after beta reads were more extensive than I thought, so this is going to take longer. Keep up with my exercise, five times a week. Finish the Get It Together exercises (description of that here). I’d like to get a new book planned and possibly started (maybe even do NaNoWriMo?) but I’m not ready to commit to that just yet. Same with finishing How to Think Sideways, which really goes along better with working on a new book. The great thing about ROW80 is that we recognize that life happens, things change, so our goals can change too. Format Home for the Holidays anthology if all materials are received – otherwise, get as much done as possible. If you’re participating in ROW80, what are your plans for this round? And either way, do you like holiday stories?